These words describe the very soul of Menokin’s mission. 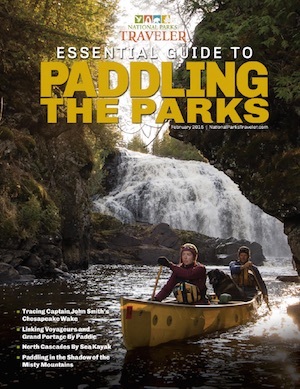 They represent all that Menokin has to offer, and when they are followed up by “A 500-acre classroom for heritage and natural resource conservation,” you can really get a picture of what goes on in this peaceful corner of the world. 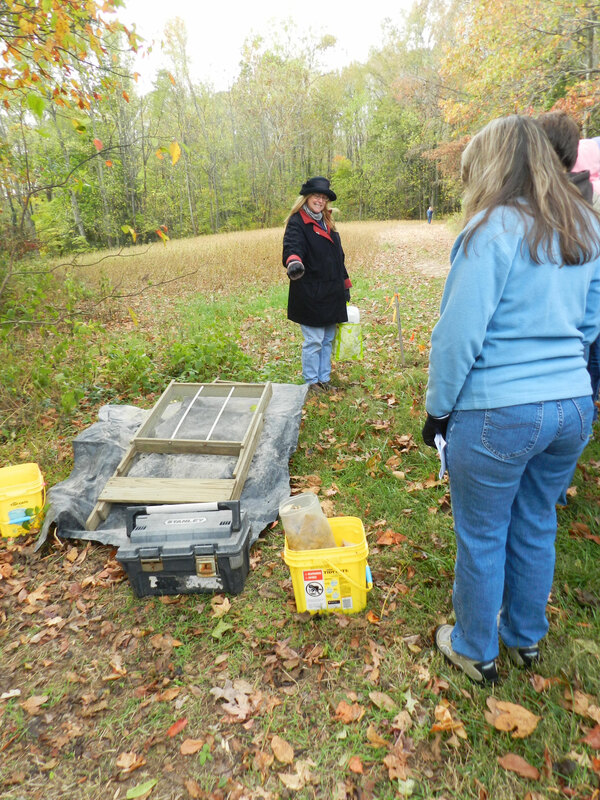 Our mission was really put to the test this week, as Menokin played host to three different field trip groups from area schools. 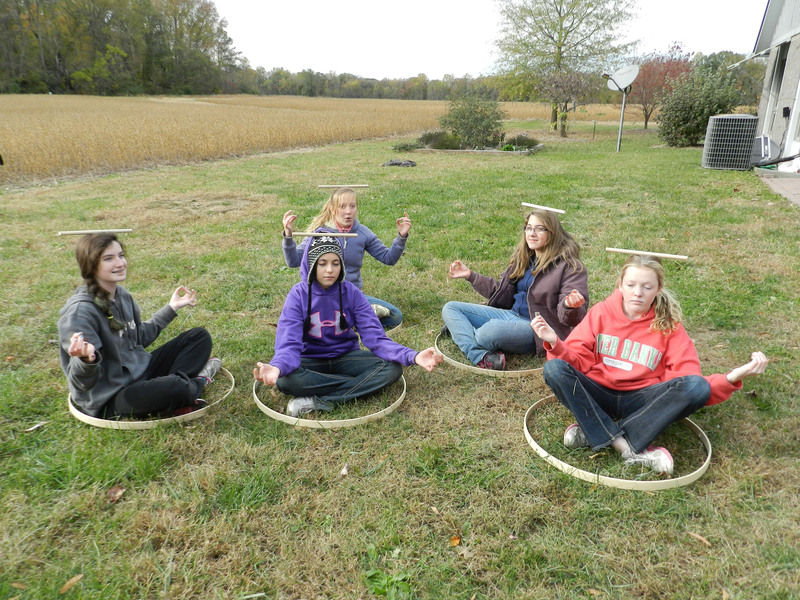 Each school represented a different age group and learning environment. But one thing was abundantly evident with all three. Kids love to learn, they love to explore, and they love to play. Aylett is a small, private school in Essex County, VA, which is across the river from Richmond County, Menokin’s home. The school serves children from Preschool through the 8th grade. Students from Aylett come from many surrounding counties, including Essex, Richmond, King and Queen, King William and Middlesex. 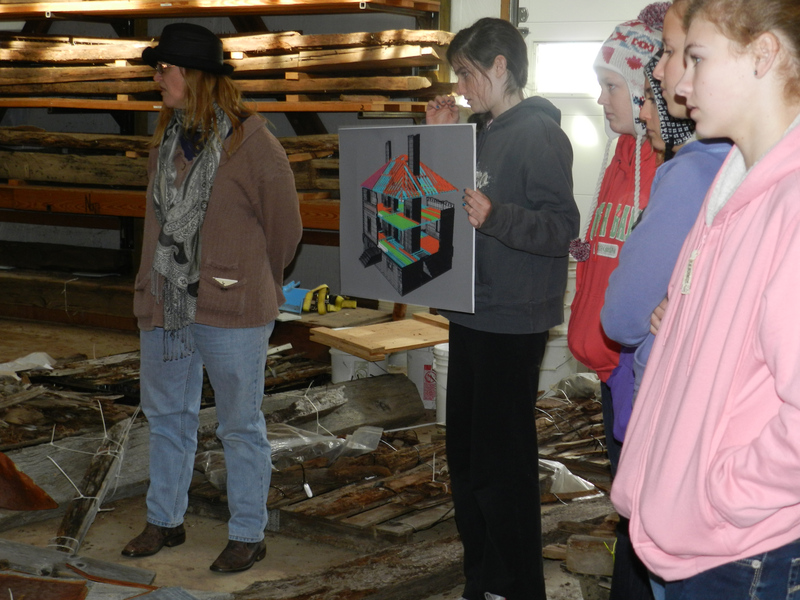 The 8th-grade class visited Menokin on Tuesday. 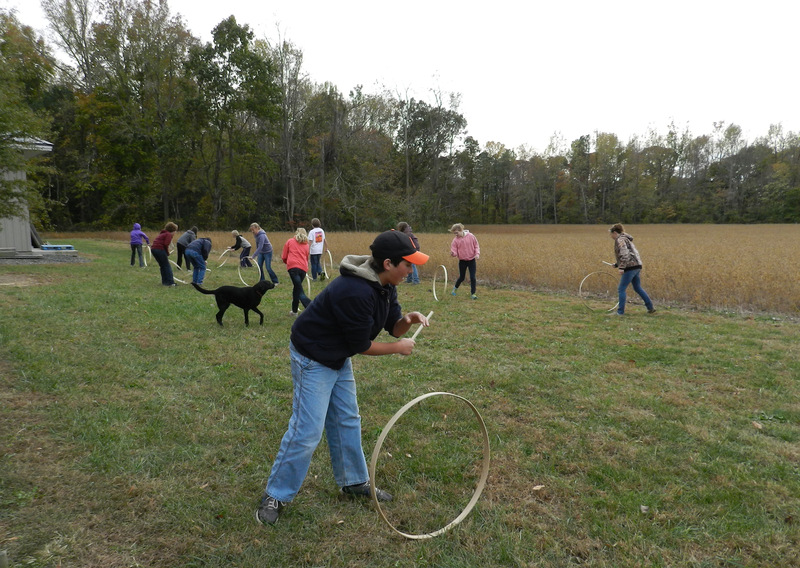 While they toured the visitor’s center, the conservation barn and the house site, the main purpose for their visit was to complete a community service project for Menokin. 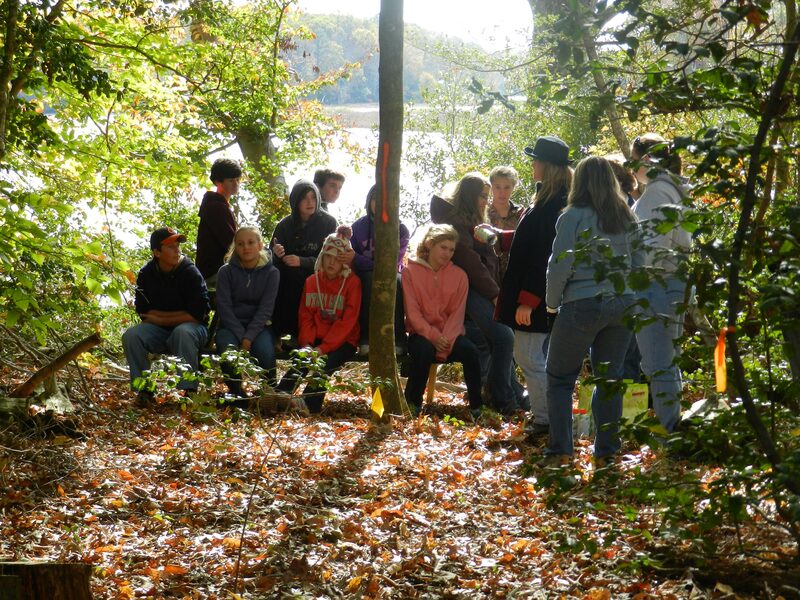 Armed with cans of orange spray paint, which managed to stay off the students, they hiked through the woods at Menokin with staff members Sarah Pope, Alice French and myself, marking the otherwise not-so-obvious path along the bluff overlooking Menokin Bay on Cat Point Creek. 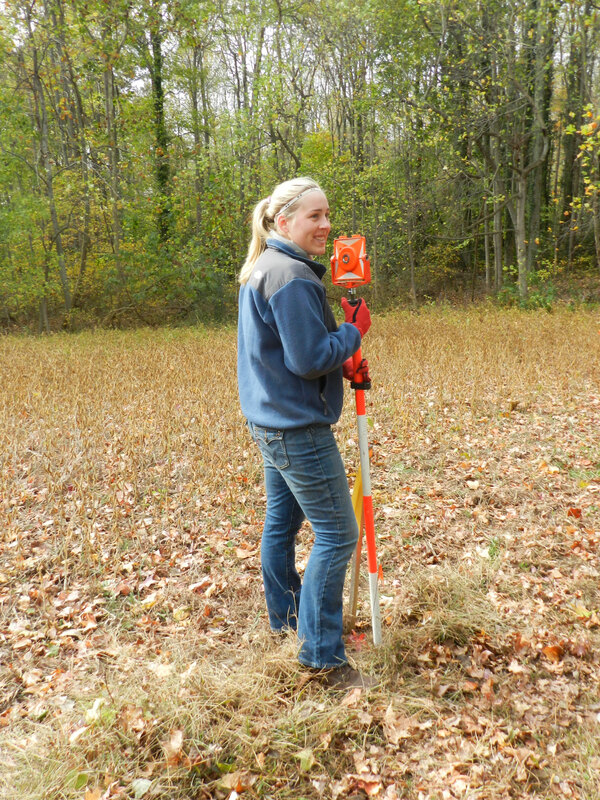 A stop along the way introduced them to Thane Harpole of DATA Investigations, and his team of archaeologists conducting a survey here in conjunction with the Chesapeake Gateways Grant secured by Menokin earlier this year. 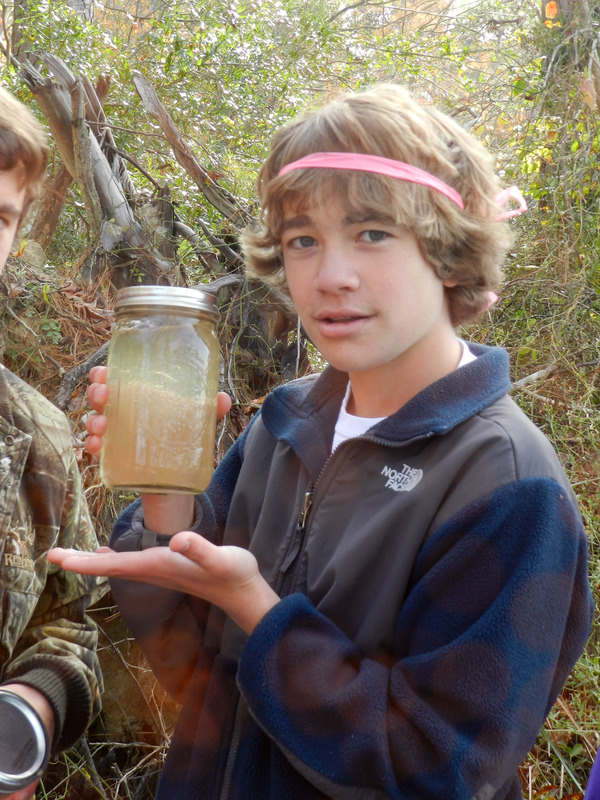 The hike concluded with gathering water samples from Cat Point Creek and returning to the Visitor’s Center to test the water for oxygen and acidity levels. The last few minutes before leaving were well used exploring 21st century uses for colonial toys. 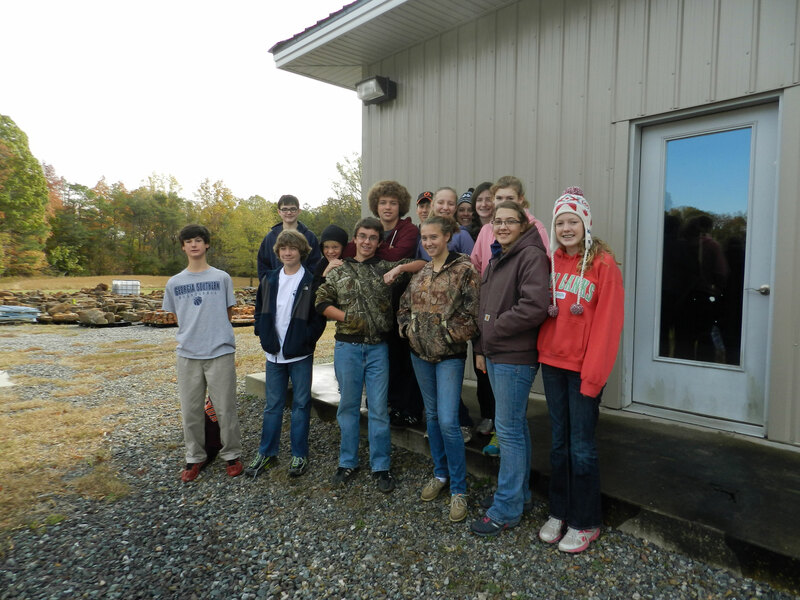 The ACDS 8th grade class poses in front of the conservation barn. 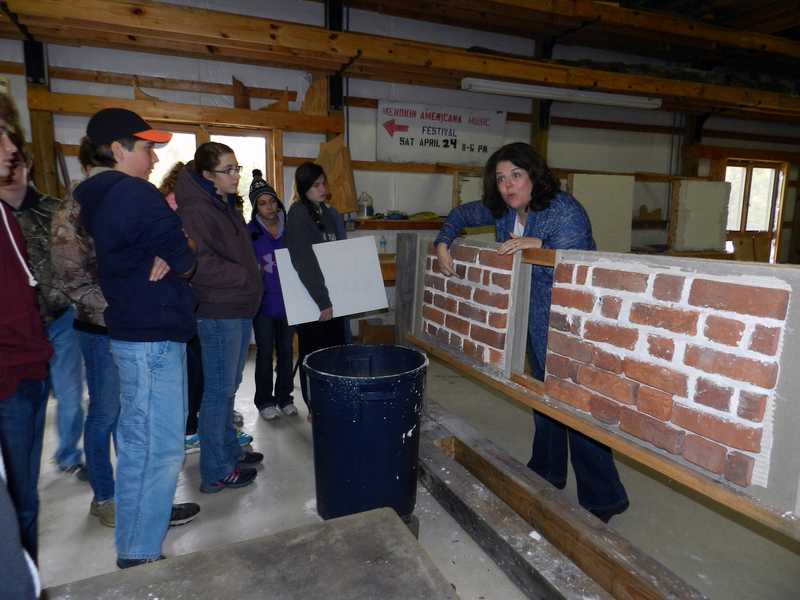 Executive Director, Sarah Pope, explains how Menokin teaches traditional lime mortar production and application techniques. 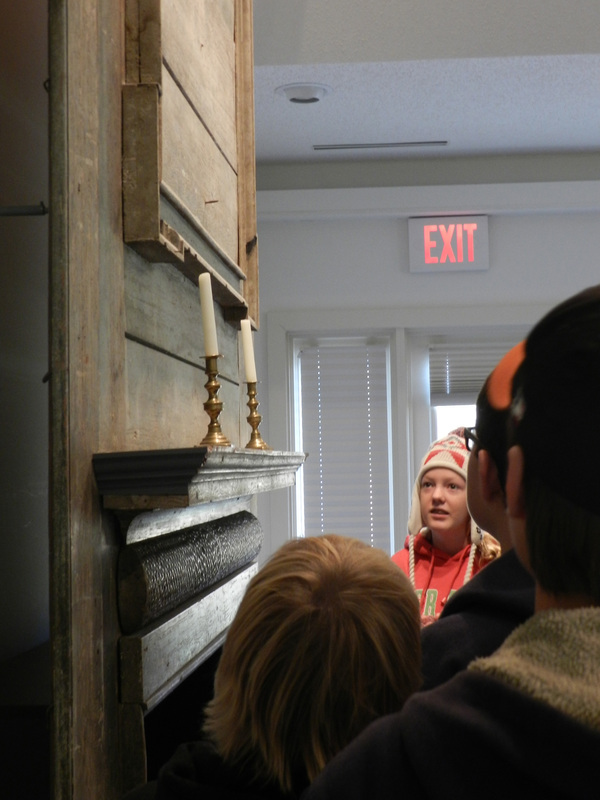 Education Coordinator, Alice French, explains how all of the structural pieces of the house are identified, cataloged, and part of a 3-D framing plan. 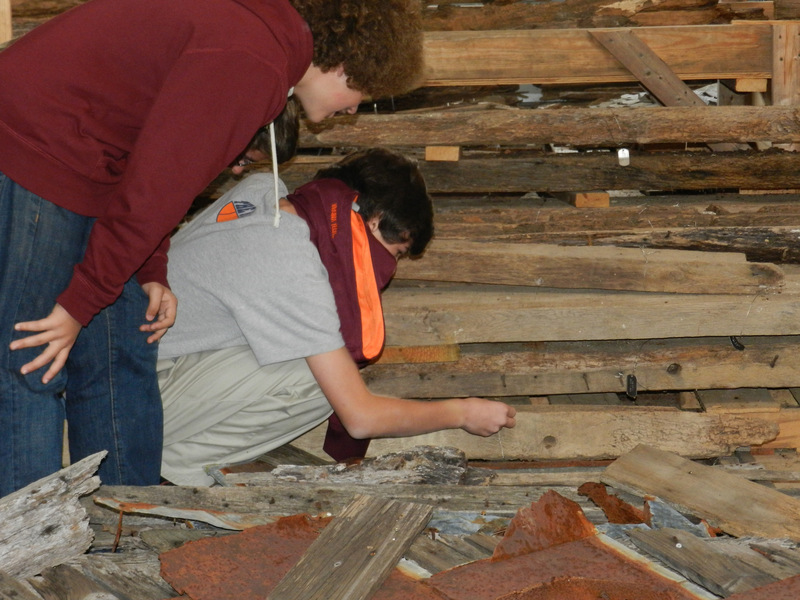 Students check out the tagging system on each artifact extracted from the house. The tag tells the year the piece was extracted, and which number piece it was to be extracted. 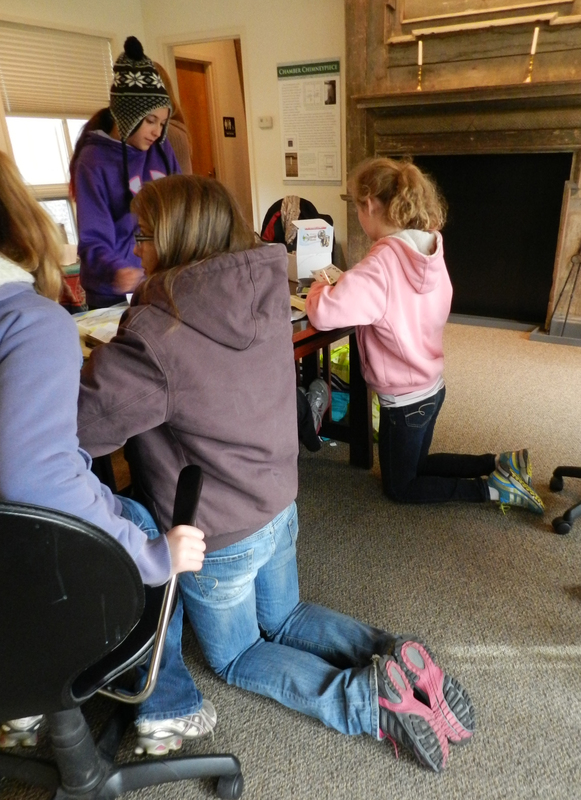 Students took time out to work on their scavenger hunt of Menokin’s treasures. 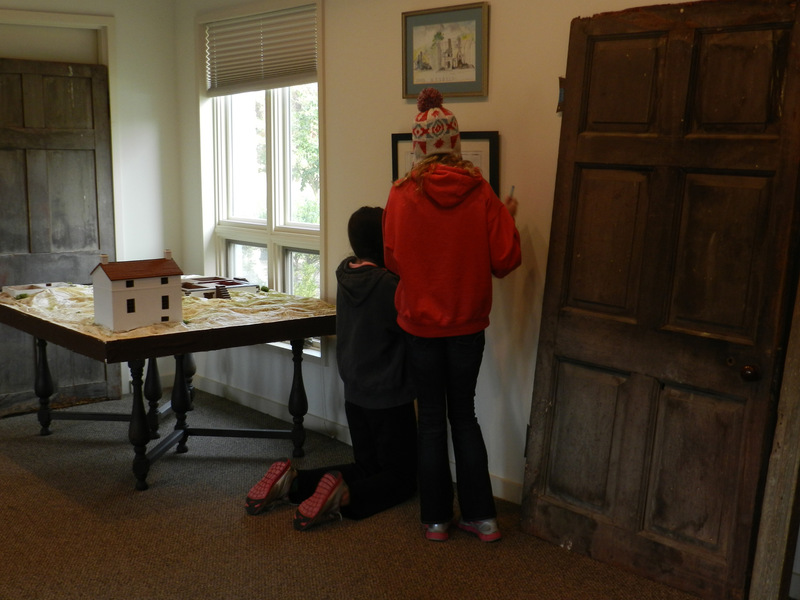 These girls examine a copy of the original presentation drawing of Menokin to determine the width of the house. This beautiful mantle piece once graced the best chamber in Menokin and features a frieze that evokes the image of fish scales. Alice French stops to explain some of the tools and techniques the archaeologists are using in their survey work. 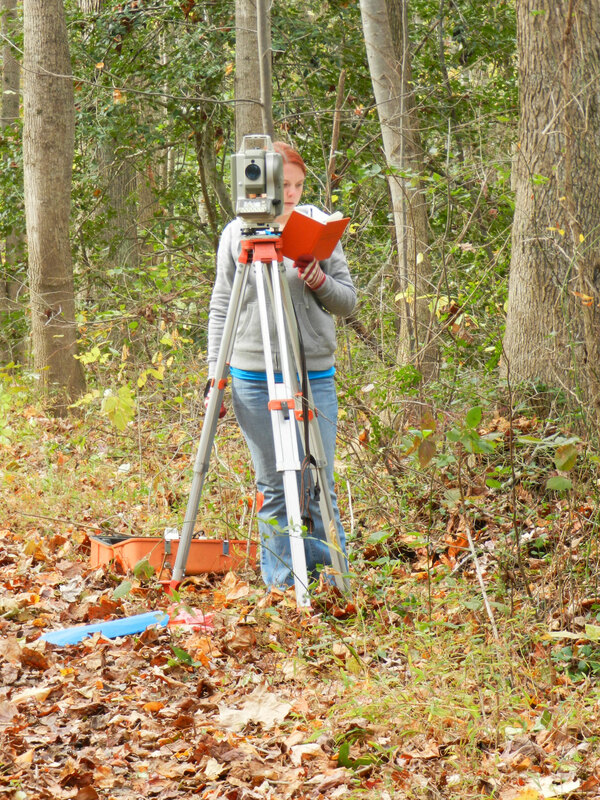 Archaeologists Erin and Anna (next slide) shoot and map locations for test pit sites. 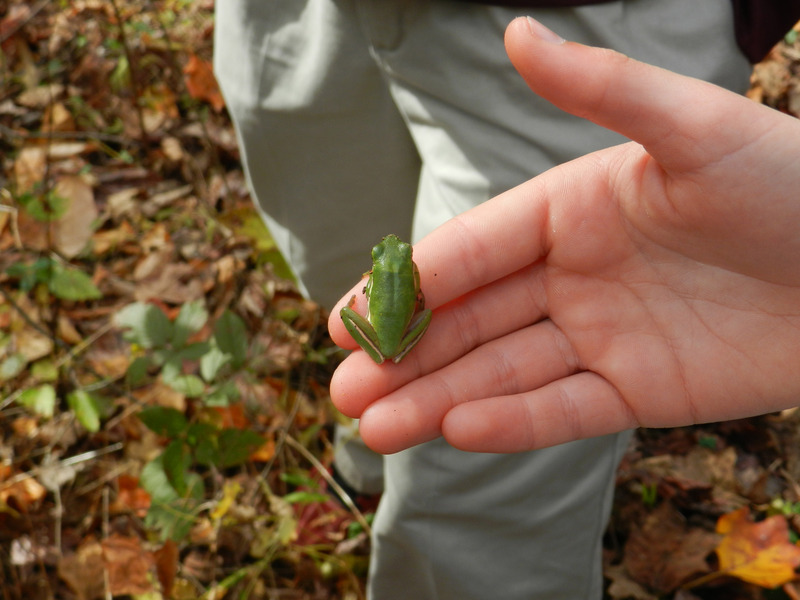 This tree frog was still kicking in spite of the chilly temperature. 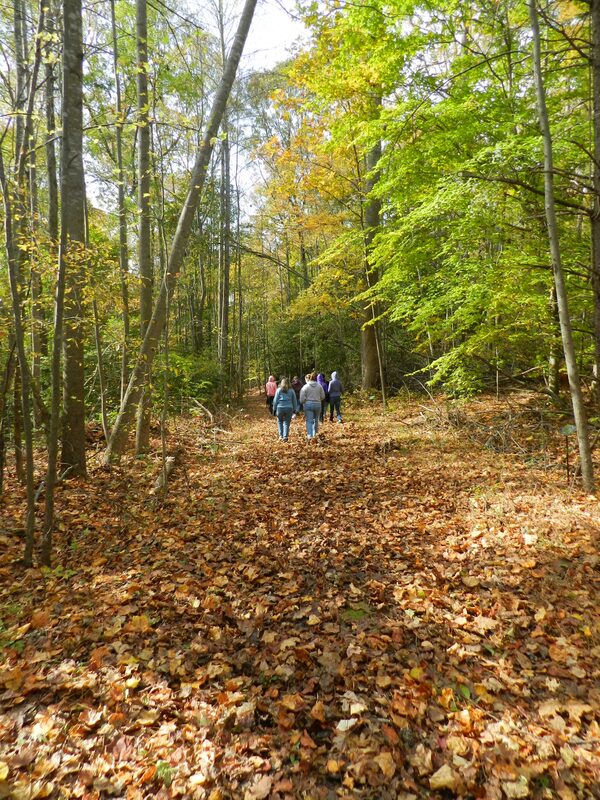 The Menokin Nature Trail is a quiet and lovely place to walk. 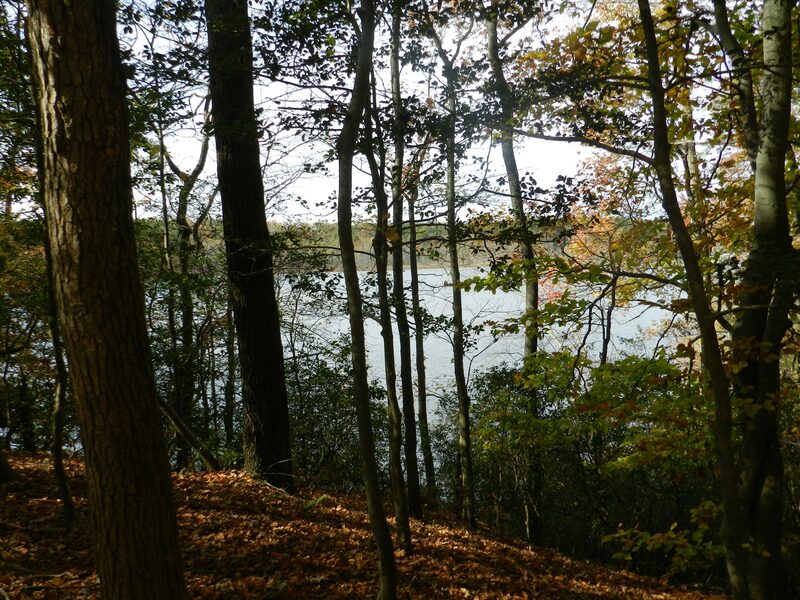 Menokin Bay on Cat Point Creek is seen from a bluff along the trail. 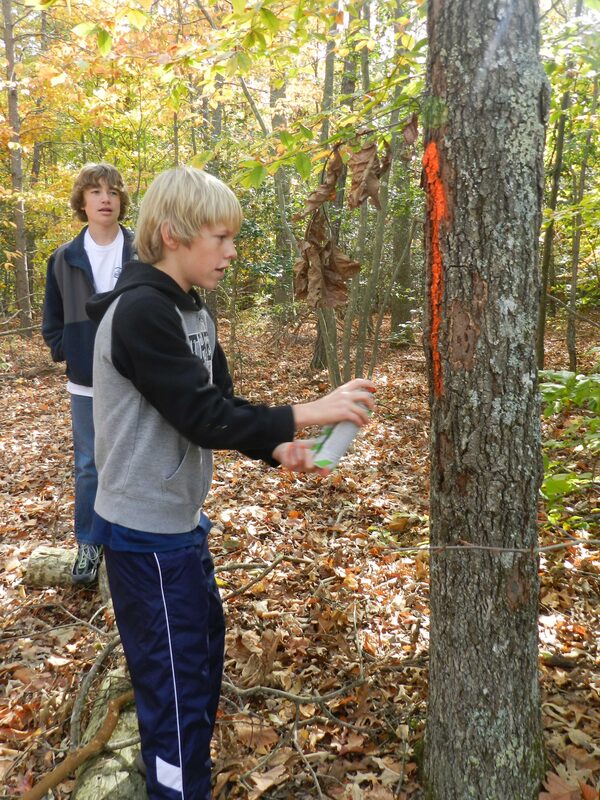 Students get instructions on how to spray paint a tree to mark the trail. 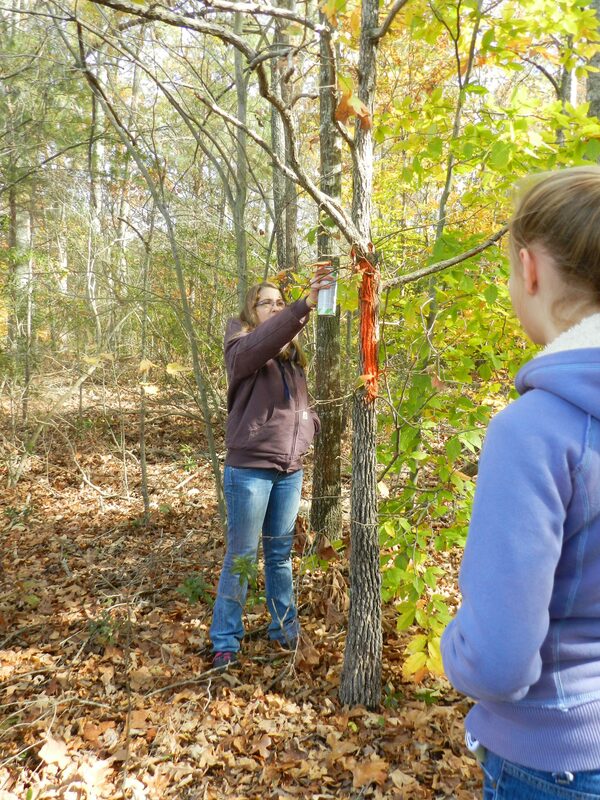 Both sides of the tree are marked, for walkers coming and going to find their way. 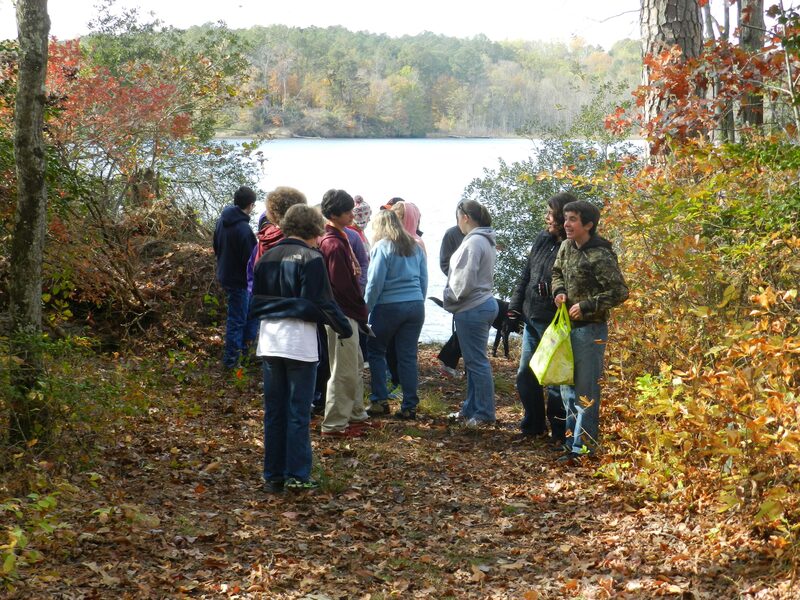 The group gathered on the edge of Cat Point Creek to gather water samples for testing. The cold water and slippery bank made this process challenging. Back at the Visitor’s Center, the water testing begins. 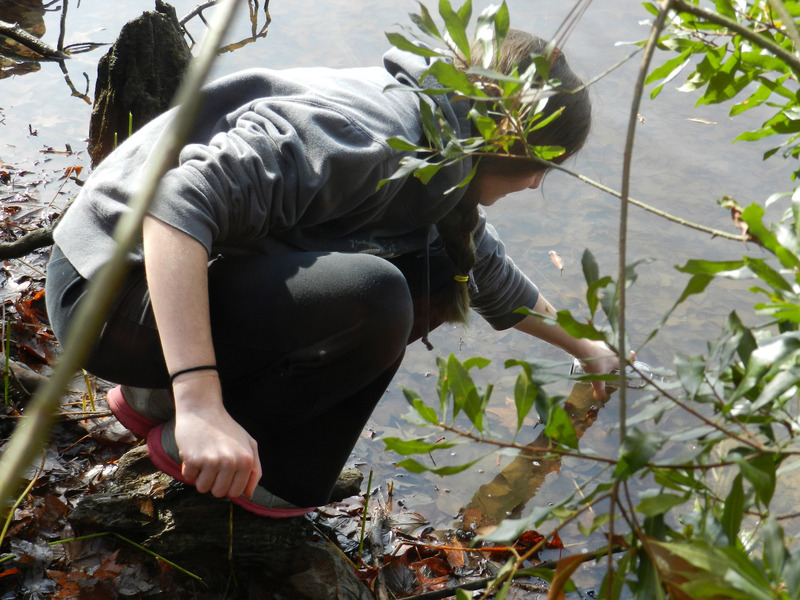 Turns out the water is quite clean and provides good habitat. …and find some creative uses for them as well. 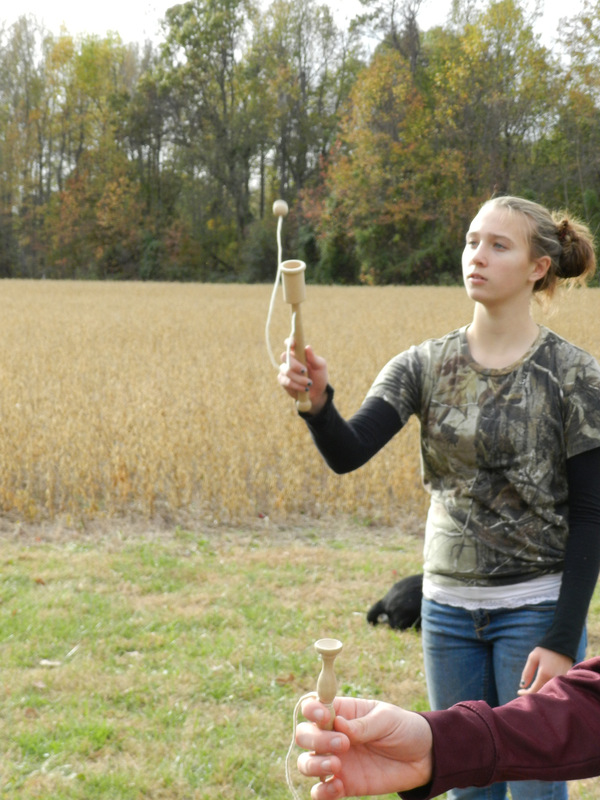 18th-century toys still have the power to entertain even the most modern marvels.